Nice little flash offer for you; in celebration of the fact that Lancome’s amazing Hypnose mascara is 10 years old, you can grab any version of it for £10 instead of the usual £22.50 (here). Permanent products such as these are almost never reduced in price, so it’s a good chance to stock up if you tend to go through mascaras at a terrifying rate. Which is true for almost every girl I know. There are quite a few different versions of Hypnose, and it really is a matter of personal preference as to which one would suit you best. 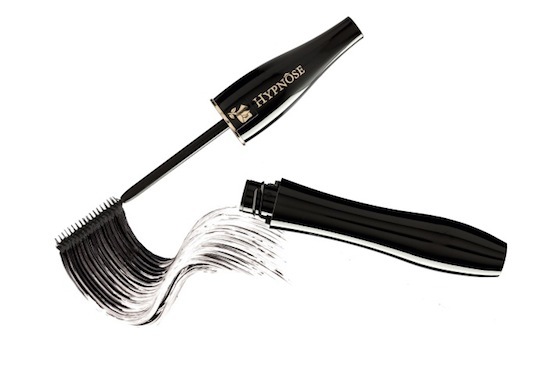 The Hypnose Drama is probably the most full-on; that one gives instant volume and “oomph” – kind of the equivalent of a “false lash effect”. There’s also a Hypnose Doll Eyes which creates a more separated, lengthened set of lashes and the Hypnose Precious Cells which I have yet to try but is incredibly high on my wishlist! (Perhaps today is the day?) All of them also come in a waterproof version too, but my favourite version is the Hypnose Star. It gives definition and a bit of volume without being too obvious – it’s a good everyday option for chic makeup looks. *update: there’s also a free gift running with two Lancome purchases (one to be skincare). I’m not sure whether you can do the £10 mascara offer at the same time but I’ll endeavour to find out. There’s also 10% off any two beauty purchases – again, I’m not sure if this applies with the £10 offer. If anyone finds out before me then do leave a comment below!